Fractals are becoming more and more popular between designers and they have a good reason for it -with programs like Apophasis such fractal creation isn’t tiresome process, just play with settings, variables, scripts, plugins and get unbelievable results. But these equations create some of the most mesmerizing and inspiring artwork to emerge from the digital art arena. Here are scaled-down versions of some of the most breathtaking ones that were uncovered, though the full-sized versions (linked through the image) offer a much more spectacular view of these mathematical masterpieces. Are you interested for Postcard Printing? *Wow. Some of it looks so canvas. Is it Sketchbook Pro? 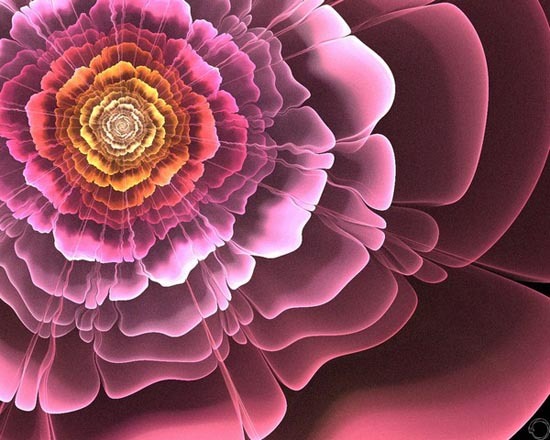 These fractal artworks are amazing! I especially like the ones with the flourishes. It’s amazing how relatively simple patterns multiplied continously can produce such beautiful and mysterious landscapes. Love it! Just amazing man…………. nice post i like it.